Growing Public Health Program Launches Standalone Ph.D.
Public health students study how to best communicate healthy eating habits to fellow students. UC Merced recently launched a new standalone Ph.D. program in Public Health, further establishing the university’s commitment to educating the next generation of scholars who are addressing the San Joaquin Valley’s unique health concerns. The School of Social Sciences, Humanities and Arts (SSHA) previously offered a Ph.D. in social sciences with an emphasis in public health, but this optional track within the Social Sciences Graduate Group was never a standalone program. When Burke arrived from UCSF in 2015, she led the revision of the Ph.D. program proposal. Because public health is an interdisciplinary course of study, Burke encourages students of all backgrounds to apply. The curriculum will provide them with the training needed for a career in public health. The new Ph.D. is one part of UC Merced’s efforts to improve public health in the Valley. So is the undergraduate public health major launched in 2014. It began with 19 students and quickly grew to encompass approximately 300 majors and 50 minors. “It’s definitely becoming one of the more popular majors on campus,” Burke said. 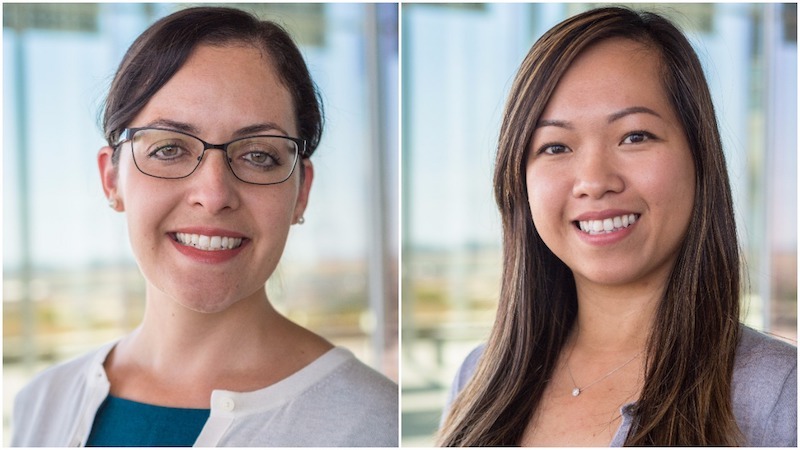 Public health’s expansion also included a recent round of new hires. The department began the year with nine faculty and just added two more, both with expertise in the department’s core research areas of environmental health, prevention sciences, and health policy and services. Professors Denise Payan and Sandie Ha. Professor Denise Payan arrived in July after completing postdoctoral work at UCLA and the RAND Corporation. She’s a health policy expert who focuses on food security and initiatives that impact diet and healthy eating. She’s joined by Professor Sandie Ha, an epidemiologist who studies how environmental stresses like heat and air quality affect pregnancy. Ha arrived in July after completing a postdoc at the National Institutes of Health. The graduate program also includes ample opportunity for community outreach. For instance, students can work with Karina Diaz Rios, a physical activity and nutrition specialist from the UC Cooperative Extension who partners with community-based organizations to implement and evaluate nutrition policy. And what about the students admitted under the old regime? They’ve been seamlessly integrated into the new program. And they’re thriving. Three recently received fellowships from UCOP’s Tobacco Related Disease Research program. And earlier this year, the department awarded its first Ph.D. to Van Do-Reynoso, who was appointed Public Health Director for Santa Barbara County soon after receiving her doctorate. 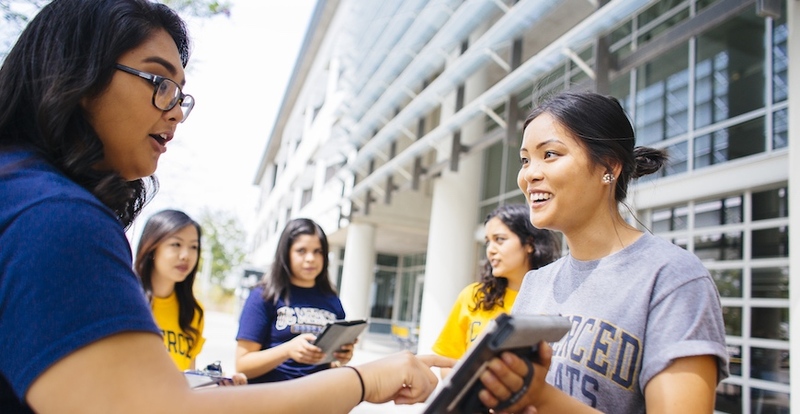 Students interested in learning more about the graduate program in public health are encouraged to contact the public health graduate group chair Paul Brown at pbrown3@ucmerced.edu.